Channing Tatum and Joseph Gordon-Levitt invite you to change your perspective on capitalism, starting with an enlightening new conception of the board game Monopoly. Channing Tatum and Joseph Gordon-Levitt like to make “odd things” together. “We’ve done lots of odd things just by following various creative whims for our own amusement. [They’re] not for audiences though; just in our spare time, for fun,” Gordon-Levitt said in an interview with IndieWire. Tatum, sitting next to him, chuckled and nodded his head. “I have a secret over Joe that he has to forever do the dumb things that I ask him to come and do,” Tatum said. 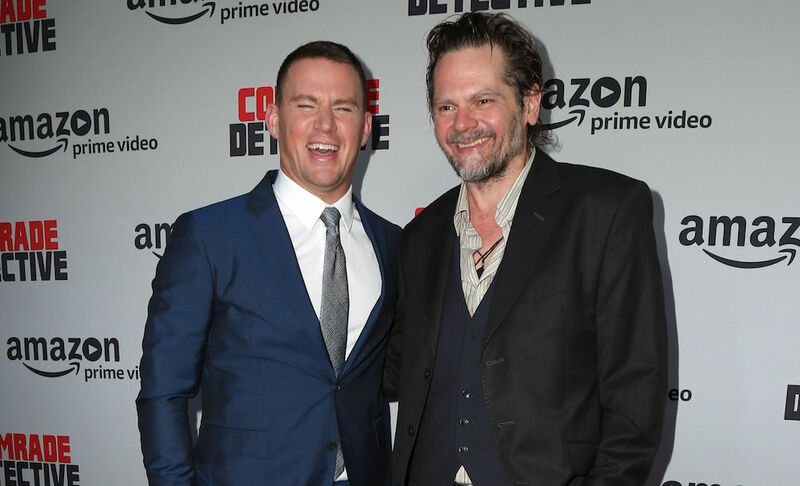 Fans can see one of Tatum and Gordon-Levitt’s odd, creative projects right now — “Comrade Detective,” executive produced by Tatum and featuring his voice work, alongside Gordon-Levitt, hit Amazon on Friday, August 4 — but it’s certainly not dumb. Their latest collaboration is so clever, in fact, you need to unpack its backstory to unlock all the peculiar charms. “Comrade Detective” appears to be a straightforward cop show. Presented as a recent discovery that’s been restored by Romanian film preservationists and dubbed for American audiences, the six hour-long episodes track two detectives out to bring the man who murdered their former partner to justice. As a TV show, it sounds simple enough. One could mistake it for another one of Amazon’s foreign imports; just with a particularly impressive voice cast. But the series’ opening — with Tatum and documentary filmmaker John Ronson sitting in a movie theater, speaking direct-to-camera — provides the first hint toward the show’s secret layers. They introduce “Comrade Detective” as a piece of Communist propaganda made by the Romanian government in the ’80s. As the first episode begins, viewers quickly learn the show also serves as a satiric comedy and an earnest attempt to reframe Western perspectives, but anyone who starts watching blind probably has a few questions. To answer a few: “Comrade Detective” wasn’t created by Communists for Communists. It wasn’t even created in the ’80s. It was filmed late last year by American filmmakers Brian Gatewood and Alex Tanaka for audiences the world over. It’s a comedy, but also a drama. It’s about two cops, but also global politics. It’s not meant to be taken seriously, except it really should be. Gatewood and Tanaka used dubbing as a jumping off point to examine overlooked global television programs from the ’70s and ’80s. “We found this incredible world behind the Iron Curtain that Westerners are not aware of and that really existed,” Gatewood said. They looked at shows from Germany, Russia, all over Eastern Europe, and even a PBS documentary about how the University of Minnesota intercepted and studied Soviet programming in the ’80s. The creators found some footage on YouTube, but also traveled to Romania in order to get a clear picture of what these programs were like. Through their research, the creators learned about two-thirds of television Romanian audiences were exposed to during the Cold War was propaganda. “He thought the excess of American culture would repulse them, and in fact it did just the opposite,” Gatewood said. “If you go there now, you’ll see lots of Larry Hagman pictures everywhere because ‘Dallas’ is the most famous remaining show,” Thomas said. By this point, Tatum had signed on (along with his company, Free Association) and his presence attracted A24 as an additional production partner. But there wasn’t supposed to be an actual production. Originally, the creators tried to secure the rights to one of the ’80s TV shows made as actual propaganda. “Of course, all the rights for those [shows] are insane to try and get. So, the conversation quickly turned to, ‘Well, what if we made our own series that was sort of representative of that? '” Gatewood said. Continue reading for the series’ true purpose and Channing Tatum’s favorite part.